Which is the best T-Mobile phone? It's not big news, but apparently Britain loves cheese and places with names like North Piddle, according to T-Mobile. We can see the appeal, but here at TechRadar, what we really love is lots of everything. Except spiders. 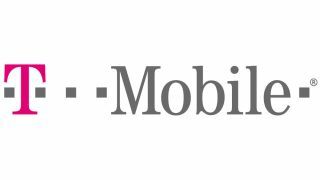 Alongside its more traditional plans and Flexible Boosters, T-Mobile has announced the Full Monty plan. Laid bare, the plan offers truly unlimited calls, texts and data. Should you need it, the last of those is tether-able; a massive bonus in today's world. On top of that is unlimited use of T-Mobile and BT Openzone hotspots. For others who do not require so much, Pay Monthly plans come with an 'Unlimited Booster'. These provide either unlimited texts, landline calls or T-Mobile calls and are interchangeable. With these plans, there are four data options; None, Basic, Standard and Extra. Basic internet provides a mere 250MB of mobile browsing a month to cater for the more occasional user. This increases to 750MB and 1.5GB as you move up, and both the Standard and Extra plans do throw in a further 3GB of Wi-Fi data. Fixed plans are also around for those who frequently overspend, or for parents/carers of those who do. Working as a mixture of contract and PAYG, these plans not only stop you from going over your limits, but they also come with a range of Flexible Boosters to change as you want. Until the announcement of the iPhone, BlackBerry was the businessman's phone of choice, for their superb secure-mailing system, and easy-to-use keyboards. Continuing this legacy is the Bold 9900. It packs a superb touch screen to show off OS7 and NFC technology, on top of a fast processor to cope with just about anything you throw at it - just a shame it's still so expensive. Following a high-profile divorce settlement of around €1.05 billion, Sony has brought its new flagship device to market. Just looking at it, you know it's a phone that you're not going to be ashamed of showing off to your friends. You won't be disappointed with the innards either, as you'll find NFC, and a truly fantastic 12MP camera atop a dual core processor. It's not the fastest phone around, but it's certainly a lot more cost-effective. Looking at it, you can tell the Optimus 4X HD is a smart phone. LG might not have the reputation of the likes of Samsung or HTC when it comes to producing high-end devices, but, as the name suggests, the LG Optimus 4X HD comes with a quad-core 1.5 GHz Nvidia Tegra 3 chip, 8MP camera, NFC and the impressive Android Ice Cream Sandwich to hold it all together. It's also cost-competitive with a number of dual-core phones, which may help the ailing brand in the smartphone market. Like the aforementioned Galaxy S2, this is a phone that we have mentioned once or twice before. It's rather difficult not to though, as it has a swift dual-core processor and stunning Retina display, supported by a well-regulated and well-stocked App store. The iPhone 4S might not be the revolutionary device that the original iPhone was, but, with what it brings to the market, it doesn't need to be - although we'd recommend you wait for the new iPhone if you're thinking about purchasing this right now.